Note: These instructions require your data to be publicly accessible so PowerBI can pull it without needing to authenticate with the KoBo server. Unless you are comfortable with sharing all your data publicly do NOT use this option. 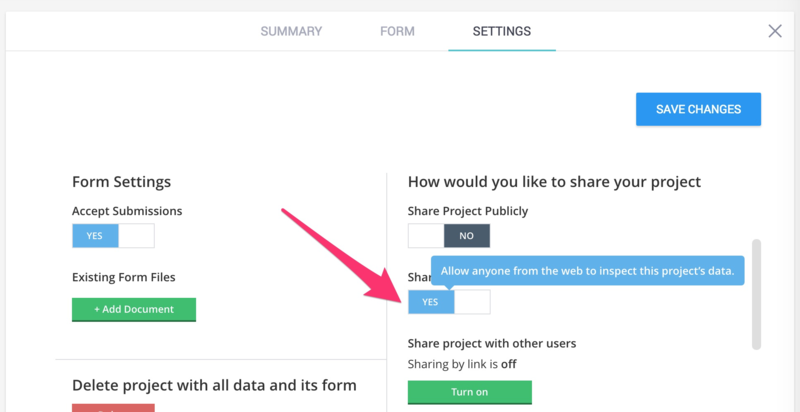 From your project's Setting tab, click on the slider to set "Share Data Publicly" to "Yes." 5. A table should load showing you all available forms which you have enabled data sharing in your KoBoToolbox account in addition to the languages (labels) you have designed them in. To connect to any of your forms’ data, copy the CSV link found under the CSV column. 6. Copy the URL of the dataset you need to connect to, then add it again as a new Web source. **Thanks to Chris Habib for writing the initial draft of this post.